Take a virtual tour of Salem! Click on the Salem Site you would like to visit and you will be transported there. Includes a brief history of the residence or establishment and photos of the Salemites you might find there. Some of the pages are slow to load right now, so please be patient. This page is undergoing major renovations, so check back for an improved, faster, more detailed page in the near future! ! This page is in no way affiliated with NBC, Corday Entertainment, or Sony Pictures Entertainment. Images and information were obtained from the links cited. Special thanks to Dustin's Page and Beth's Page for lots of pictures and historical info. 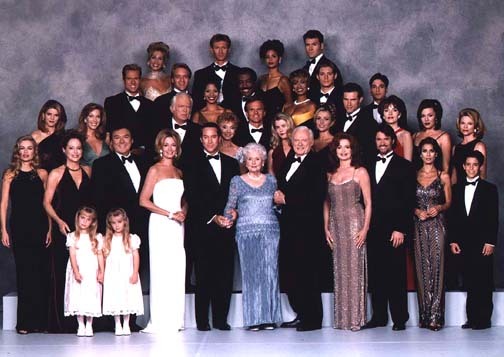 I am currently looking for pictures of: Jamie Caldwell, Henderson the Kiriakis butler, Father Jansen, and Father Francis. I would also love to find some sound files of the Days background music. If you can help, please e-mail me! Return to Annabella's Mixed Up Universe! If you would like a free guest book for your home page, go to Guest World.